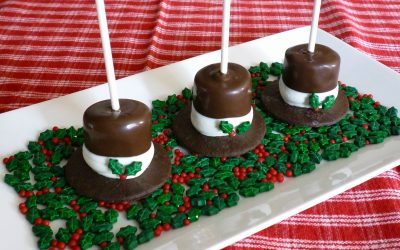 Simple snowman hats made with marshmallows, cookies and chocolate. The kids will have a blast putting these together. A great classroom gift.